Ontario Ovens Inc. has a wide variety of laboratory refrigerators available for laboratory and industrial use. Sizes range from 27 to 76 cu.ft and 0°C to +13°C operating temperatures. Available as upright or walk-in with either glass or solid doors. Applications include general laboratory, pharmacy, chromatography, blood bank, flammable materials storage and explosion-proof also. Standard laboratory refrigerator features include digital temperature control, CFC/HCFC-free refrigerants and all our equipment is covered with an 18 month parts and labour warranty, toll free help line and local service support and export to companies world wide. 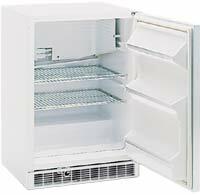 Variety of laboratory refrigerators available ranging in size from 3 to 76 cu.ft..
Undercounter refrigerators available ranging in size from 3 cubic feet and up and temperatures of +1C to +7C..